Kathy Ramsey grew up across the street from what is now Floyd and Blackie’s Bakery in Downtown McAdenville. Just like the Cramerton coffee shop, the new bakery will adhere to the same mission statement, a statement which emphasizes God, family, and community. 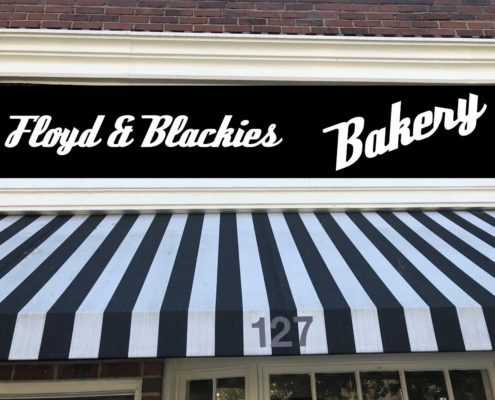 Floyd and Blackie’s Bakery opened at 127 Main Street in Downtown McAdenville on February 12, 2019. Are You Smarter Than a Gaston County 5th Grader? Pharr sponsored “Are You Smarter than a Gaston County 5th Grader” and placed 3rd out of 18 teams on 2/7/19. 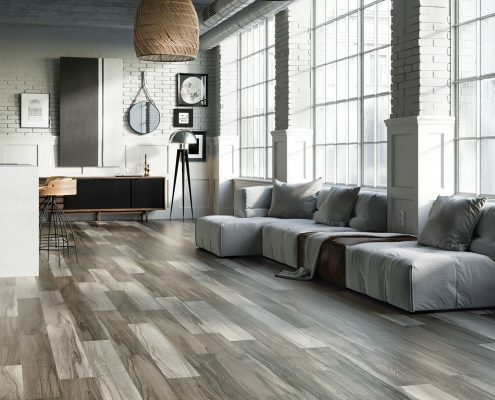 Since 2006, Phenix Flooring has strived to create only the best residential carpet. 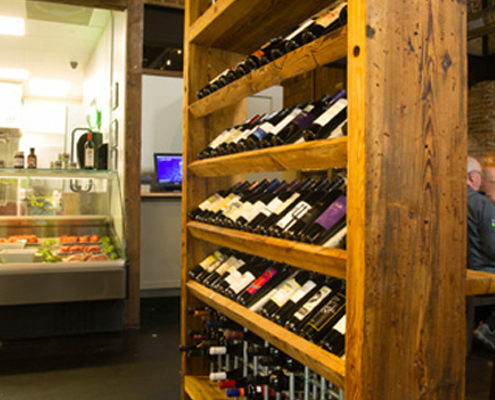 The company’s products are known for beauty, durability, and quality. But have you ever wondered where the inspiration behind the company’s designs come from? Pharr, a Family of Companies was featured in Gaston Lifestyles Magazine as a company that is vital to Gaston County’s economic success. 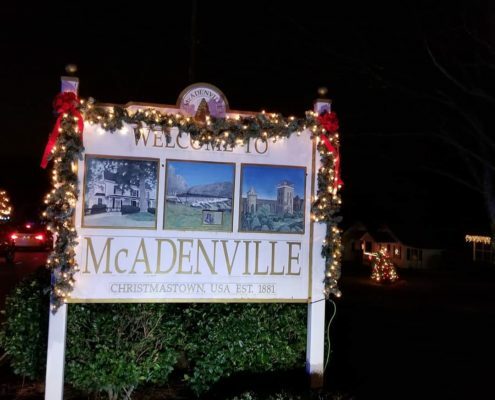 Owners Jim and John Bailey along with both the Montcross Area Chamber of Commerce and the Gaston Regional Chamber of Commerce celebrated the grand opening and ribbon cutting of The McAdenville Table & Market on January 16, 2018! Phenix delivers another incomparable show experience at this year’s International Surfaces Event. The International Surfaces Event is held annually at Mandalay Bay in Las Vegas, Nevada. 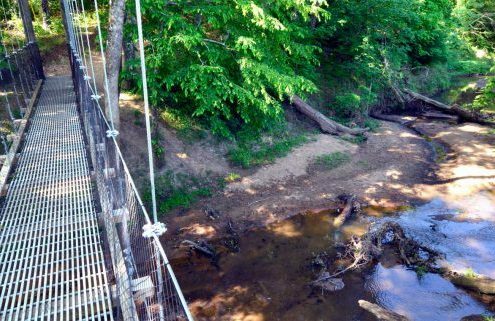 The Town of McAdenville and Pharr A Family of Companies, together with The Catawba Land Conservancy, are pleased to announce the creation of a riverfront park and trail network along the South Fork River and downtown McAdenville. 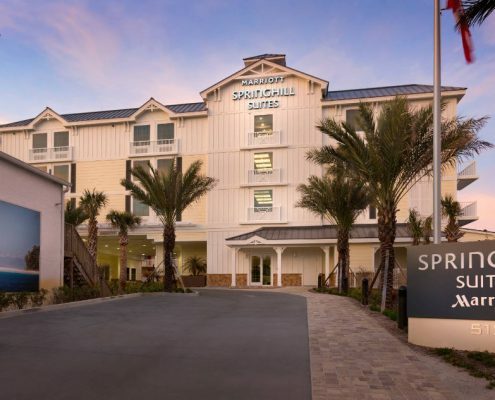 Sunshine and summertime were in the forefront of guests’ minds last week at the SpringHill Suites in New Smyrna Beach, Fla. as the hotel celebrated its grand opening with a beach themed cocktail reception Tuesday evening. Pharr A Family of Companies participated in Gaston County Schools “Are You Smarter Than a 5th Grader?” competition in January where Pharr associates competed with 5th graders to correctly answer trivia questions related to their school subjects. 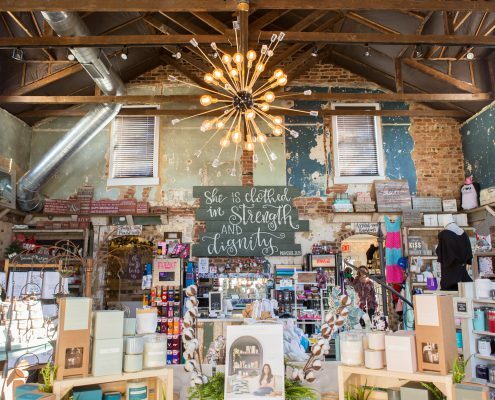 Downtown McAdenville continues to grow, now with the addition of 115 Main Gifts & Provisions, an upscale retail boutique located in the heart of the downtown district. Pharr A Family of Companies sponsored the third annual “Let the Good Times Run” gala event to benefit Girls on the Run Gaston County. 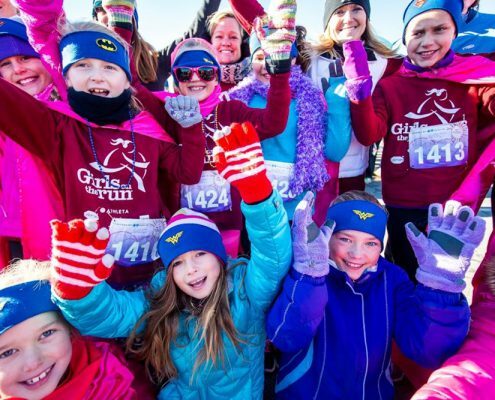 Proceeds raised help to ensure that nearly 60 percent of girls served by Girls on the Run. 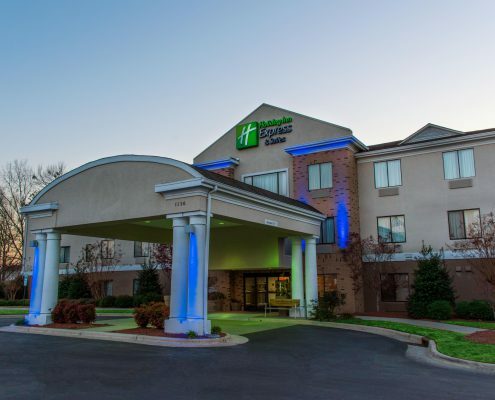 Strand Hospitality Services, a leading provider of hospitality operations, consulting and advisory services, recently announced that it has assumed management of the Hampton Inn-Kinston and the Holiday Inn Express-Kinston. Learn about the recent evolution of Pharr’s branding in a conversation with Pharr President and CEO Bill Carstarphen. Bill Carstarphen, CEO of Pharr Yarns; Mark Clayton, President of Phenix; and Rich Pattinson, President of Pharr Yarns, discuss the merger between Phenix Carpet and Pharr Yarns. 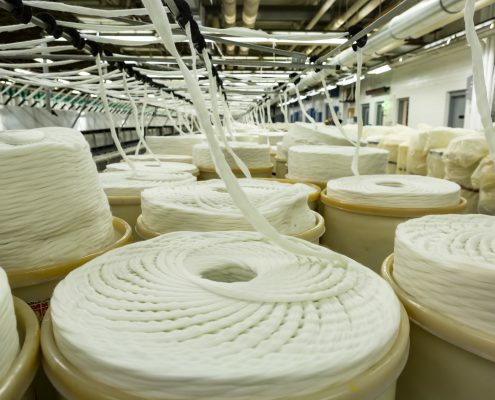 A brief history celebrating the 75+ years of Pharr Fibers and Yarns, and goals for future growth.